Here’s the first two of four reports that Chas Anderson sent me of his cetacean watching trips through the Maldives. Definitely very high on my list of things to do. 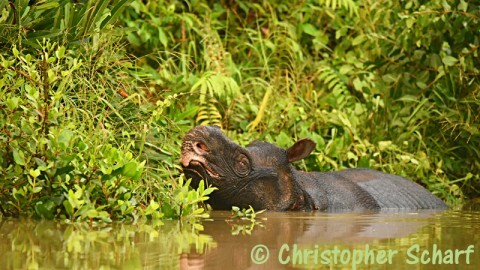 If all has gone to plan I am currently in Sierra Leone looking for – perhaps even “at” – Pygmy Hippos. And Amber (thank you Amber) is holding the mammalwatching fort together. Maldives, Nov 2014: The Whale and Dolphin Company, 12 days and 11+ species including Pygmy Killer Whales, Fraser’s Dolphins and Dwarf Sperm Whales. Maldives, April 2015: The Whale and Dolphin Company, 12 days and 9+ species including Rough-toothed Dolphins and Dwarf Sperm Whales.